The life of a student is constantly peppered with periods when we don’t feel like we rule our own minds. There’s a disconnect with what we truly want to do – that is, what our goals and aspirations tell us we should be doing – and what we actually find ourselves doing. We know that focusing on a single task is the best way to finish it efficiently and effectively. Yet, we often find ourselves attempting to multi-task. Or, even worse, we find ourselves distracted – going down the Reddit rabbit hole, spacing off or, like, juggling potatoes or something (that actually sounds like an awesome way to waste time). In the past, I’ve talked about how scheduling high-density fun can be an effective way to ward off distractions. Perhaps, though, you’re in need of some additional techniques to truly attain the level of focus you want. Well, I’m right with you, friend. As someone who has transitioned from the role of a student to that of a full-time information worker, I can tell you that the ability to focus doesn’t magically manifest itself when you get your degree. That ability must be earned. Today, we’ll explore five techniques for earning a more effective ability to concentrate on your work. 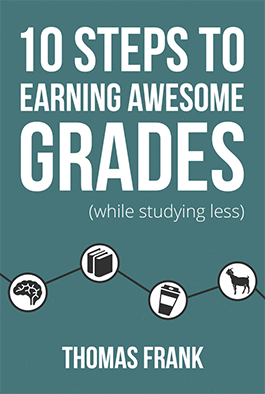 Building your ability to avoid distractions is integral to becoming a successful student. 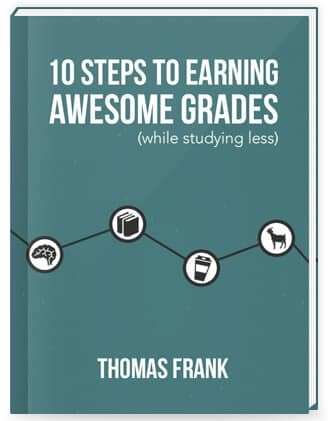 If you enjoyed the video, you’ll find even more tips on this topic in Chapter 5 of my free 100+ page book called 10 Steps to Earning Awesome Grades (While Studying Less). What other methods of building the ability to concentrate have you used?